A companion to the PBS series, This Far by Faith isthe story of how religious faith inspired the greatest social movementin American history -- the U.S. Civil Rights movement. Hailed upon publication as a beautiful, seminal book on the role of the church in the African American community as well as on the social history of America, This Far by Faith reveals the deep religious conviction that empowered a people viewed as powerless to blaze a path to freedom and deliverance, to stand and be counted in this one nation under God. Here are the stories of politics, tent revivals, and the importance of black churches as touchstones for every step of the faith journey that became the Civil Rights movement of the 1950s and 1960s. Using archival and contemporary photography, historical research, and modern-day interviews, This Far by Faith features messages from some of today's foremost religious leaders. Berkeley linguistics professor John McWhorter, born at the dawn of the post-Civil Rights era, spent years trying to make sense of this question. Now he dares to say the unsayable: racism's ugliest legacy is the disease of defeatism that has infected black America. Losing the Race explores the three main components of this cultural virus: the cults of victimology, separatism, and antiintellectualism that are making blacks their own worst enemies in the struggle for success. More angry than Stephen Carter, more pragmatic and compassionate than Shelby Steele, more forward-looking than Stanley Crouch, McWhorter represents an original and provocative point of view. With Losing the Race, a bold new voice rises among black intellectuals. Rodriguez's acclaimed first book, Hunger of Memory raised a fierce controversy with its views on bilingualism and alternative action. Now, in a series of intelligent and candid essays, Rodriguez ranges over five centuries to consider the moral and spiritual landscapes of Mexico and the US and their impact on his soul. Joseph M. Marshall's thoughtful, illuminating account of how the spiritual beliefs of the Lakota people can help us all lead more meaningful, ethical lives. Rich with storytelling, history, and folklore, The Lakota Way expresses the heart of Native American philosophy and reveals the path to a fulfilling and meaningful life. Joseph Marshall is a member of the Sicunga Lakota Sioux and has dedicated his entire life to the wisdom he learned from his elders. Here he focuses on the twelve core qualities that are crucial to the Lakota way of life--bravery, fortitude, generosity, wisdom, respect, honor, perseverance, love, humility, sacrifice, truth, and compassion. Whether teaching a lesson on respect imparted by the mythical Deer Woman or the humility embodied by the legendary Lakota leader Crazy Horse, The Lakota Way offers a fresh outlook on spirituality and ethical living. In his bestselling book Dancing with a Ghost, Rupert Ross began his exploration of Aboriginal approaches to justice and the visions of life that shape them. 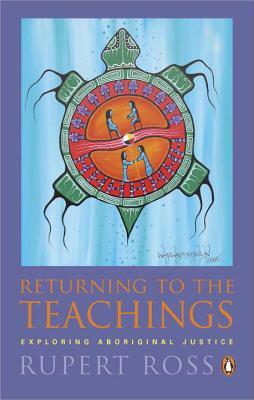 Returning to the Teachings takes this exploration further still. During a three-year secondment with Justice Canada, Ross travelled from the Yukon to Cape Breton Island, examining--and experiencing--the widespread Aboriginal preference for "peacemaker justice." In this remarkable book, he invites us to accompany him as he moves past the pain and suffering that grip so many communities and into the exceptional promise of individual, family and community healing that traditional teachings are now restoring to Aboriginal Canada. He shares his confusion, frustrations and delights as Elders and other teachers guide him, in their unique and often puzzling ways, into ancient visions of Creation and our role with it. Returning to the Teachings is about Aboriginal justice and much more, speaking not only to our minds, but also to our hearts and spirits. Above all, it stands as a search for the values and visions that give life its significance and that any justice system, Aboriginal or otherwise, must serve and respect. An eye-opening look at how young Arab- and Muslim- Americans are forging lives for themselves in a country that often mistakes them for the enemy Just over a century ago, W.E.B. Du Bois posed a probing question in his classic The Souls of Black Folk How does it feel to be a problem? Now, Moustafa Bayoumi asks the same about America's new "problem"-Arab- and Muslim-Americans. Bayoumi takes readers into the lives of seven twenty-somethings living in Brooklyn, home to the largest Arab-American population in the United States. He moves beyond stereotypes and cliches to reveal their often unseen struggles, from being subjected to government surveillance to the indignities of workplace discrimination. Through it all, these young men and women persevere through triumphs and setbacks as they help weave the tapestry of a new society that is, at its heart, purely American. An inspiring mission to rescue young people from drugs and violence with music At a time when interest in Brazilian culture has reached an all-time high, and the stories of one person's ability to improve the lives of others has captured so many hearts, this unique book takes readers to the frontlines of a battle raging over control of the nation's poorest areas. "Culture Is Our Weapon" tells the story of Grupo Cultural AfroReggae, a Rio-based organization employing music and an appreciation for black culture to inspire residents of the favelas, or shantytowns, to resist the drugs that are ruining their neighborhoods. This is an inspiring look at an artistic explosion and the best and worst of Brazilian society. An award-winning historian's sweeping new interpretation of the African American experience. 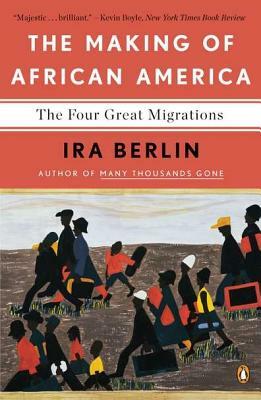 In this masterful account, Ira Berlin, one of the nation's most distinguished historians, offers a revolutionary-and sure to be controversial-new view of African American history. In The Making of African America, Berlin challenges the traditional presentation of a linear, progressive history from slavery to freedom. Instead, he puts forth the idea that four great migrations, between the seventeenth and twenty-first centuries, lie at the heart of black American culture and its development. 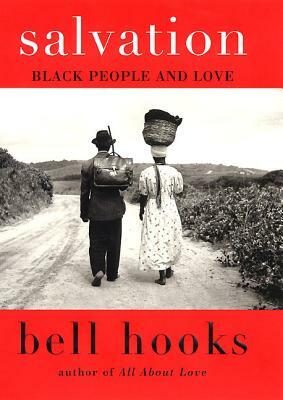 With an engrossing, accessible narrative, Berlin traces the transit from Africa to America, Virginia to Alabama, Biloxi to Chicago, Lagos to the Bronx, and in the process finds the essence of black American life. In Death or Liberty, Douglas R. Egerton offers a sweeping chronicle of African American history stretching from Britain's 1763 victory in the Seven Years' War to the election of slaveholder Thomas Jefferson as president in 1800. While American slavery is usually identified with antebellum cotton plantations, Egerton shows that on the eve of the Revolution it encompassed everything from wading in the South Carolina rice fields to carting goods around Manhattan to serving the households of Boston's elite. More important, he recaptures the drama of slaves, freed blacks, and white reformers fighting to make the young nation fulfill its republican slogans. Although this struggle often unfolded in the corridors of power, Egerton pays special attention to what black Americans did for themselves in these decades, and his narrative brims with compelling portraits of forgotten African American activists and rebels, who battled huge odds and succeeded in finding liberty--if never equality--only in northern states. Egerton concludes that despite the real possibility of peaceful, if gradual, emancipation, the Founders ultimately lacked the courage to end slavery.